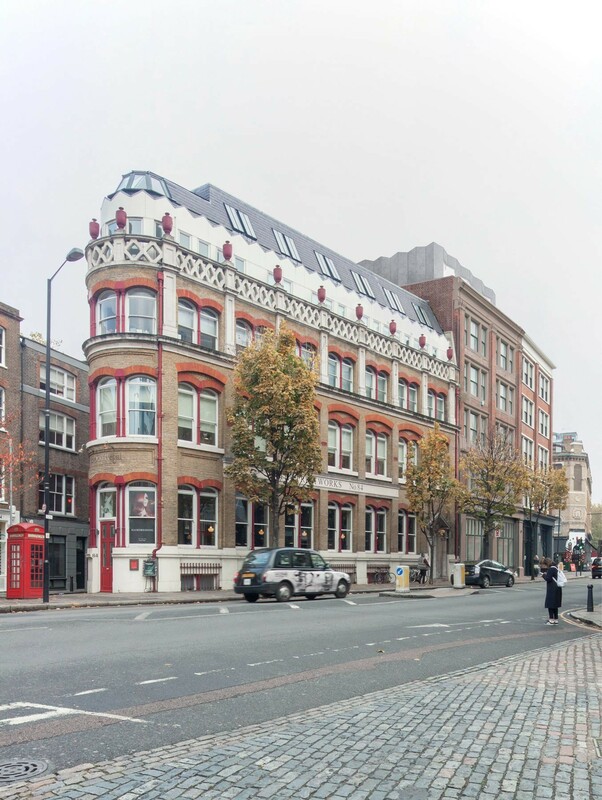 This Clerkenwell office refurbishment and extension improves a character Victorian warehouse building. 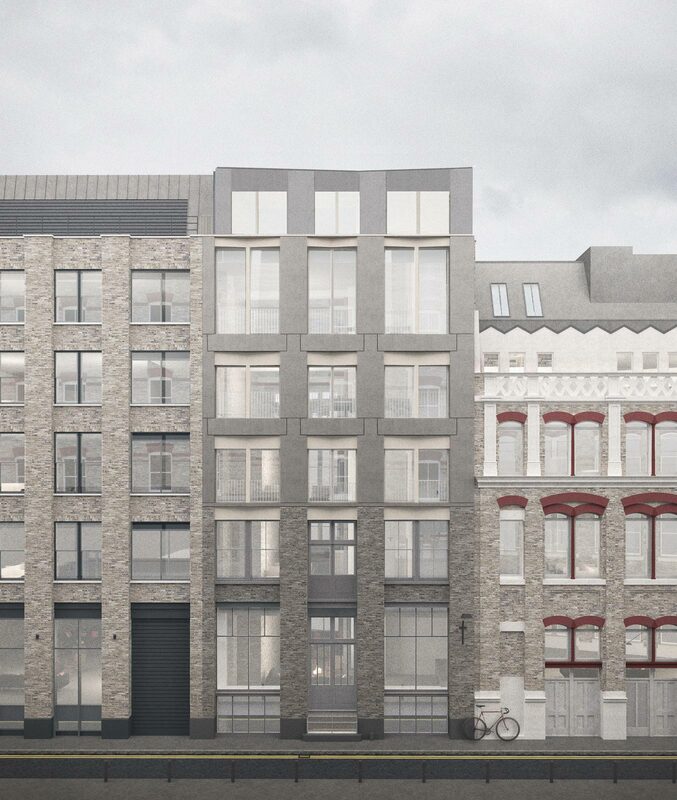 The scheme provides six workspaces to the upper floors and a furniture showroom at ground and basement. The building is enlarged with a three storey extension to the rear and an additional, set back rooftop storey above. Internal areas are increased by nearly 50%, from 7,600 sqft to 10,150 sqft. 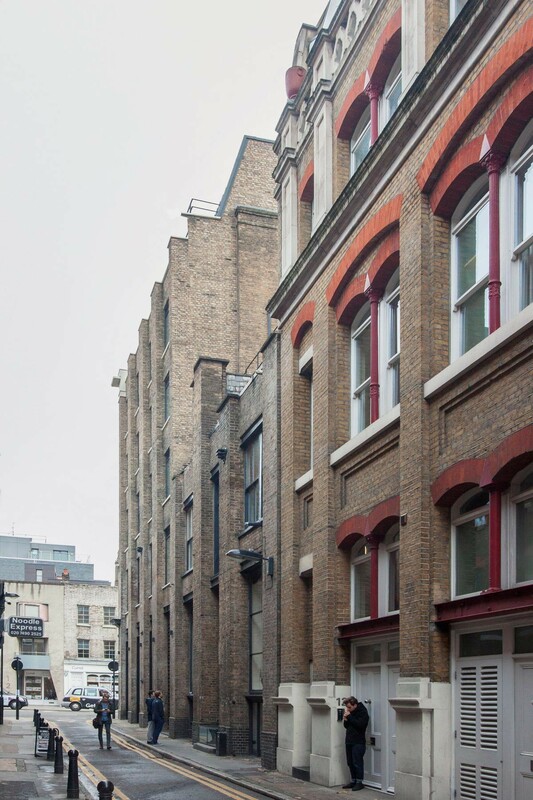 A new level entrance is created within the retained facade from Clerkenwell Road. A lift and reconfigured stair are inserted to improve accessibility to all levels. 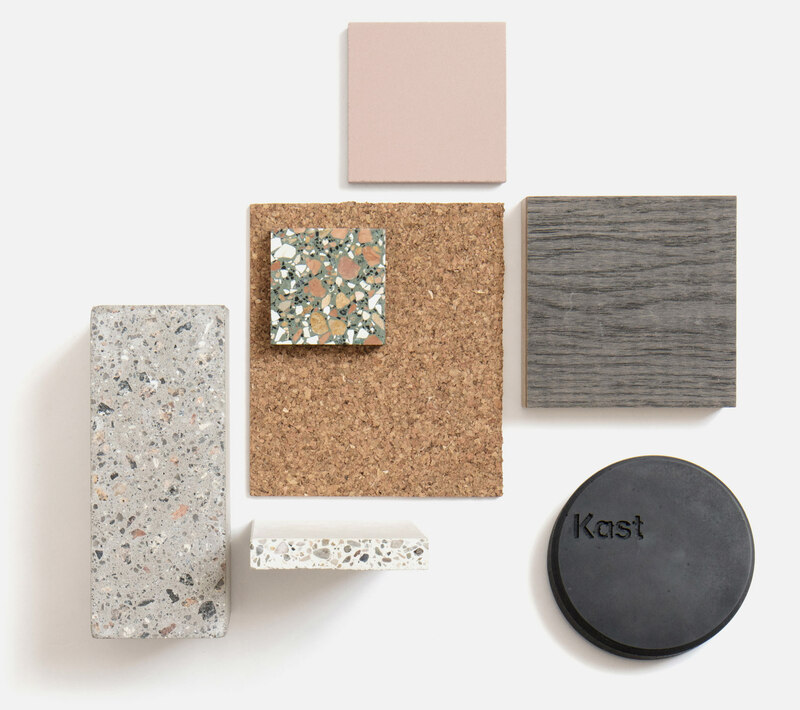 The new floors, roof and external walls are of lightweight construction to enable the existing foundations, cast iron columns, and masonry walls to carry the increased loading without modification. New showers and bike stores are provided at each level to encourage cycling. The rear of the building faces onto Albemarle Way, a narrow medieval east-west road. 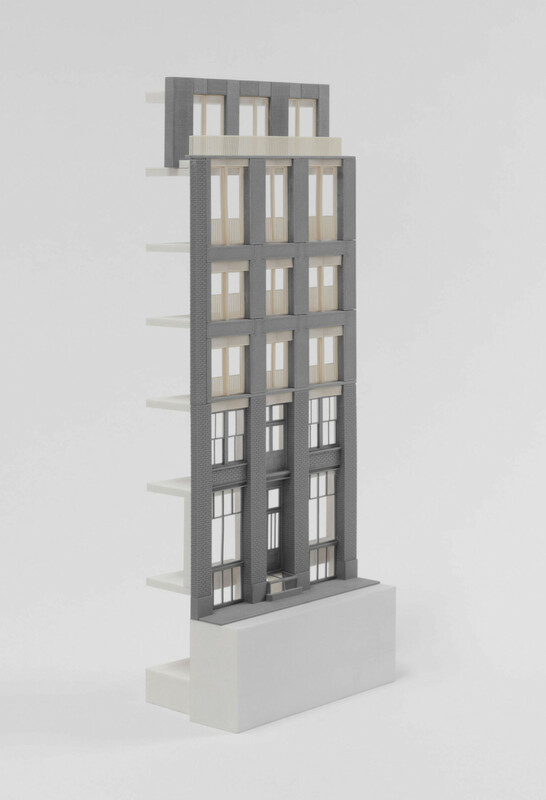 Here, articulated facade details are inspired by the recessed brick panels, decorative lintels and visual weight of adjacent Victorian buildings. 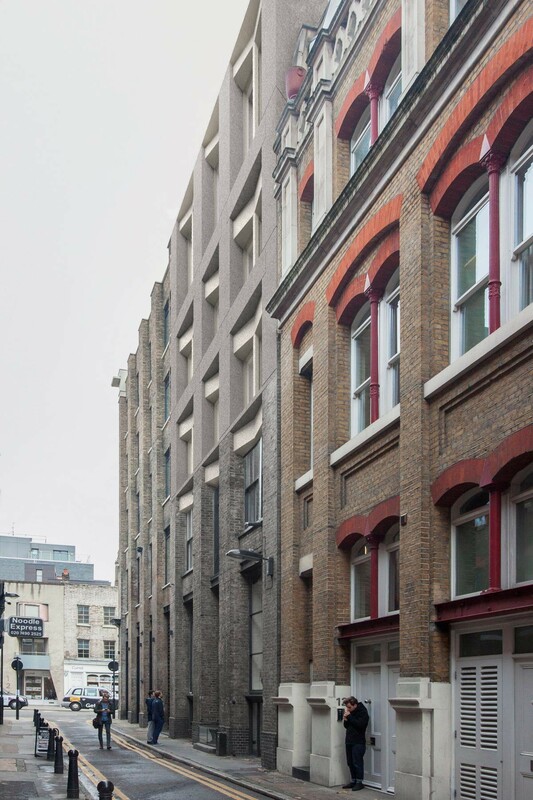 The narrow width of Albermarle Way dictates that the building is seen from a low angle, enhancing the effect of the articulated facade depth.